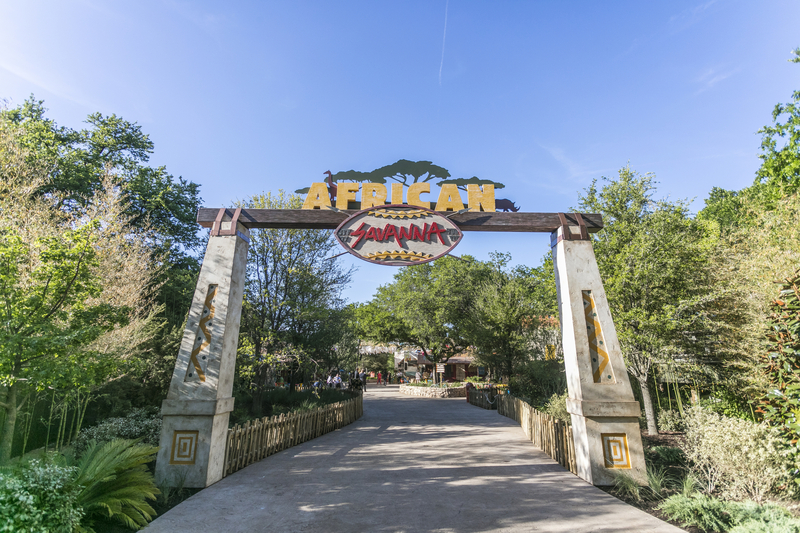 African Savanna - Now Open! The African Savanna is the first stage of A Wilder Vision. 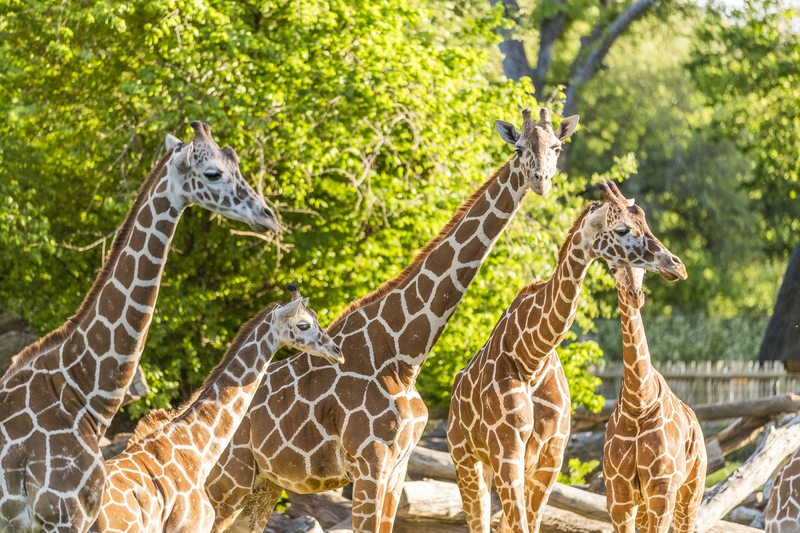 Sitting on 10 acres of existing Zoo land, the Savanna allows guests to see giraffes, springbok, ostriches and more in one exhibit. 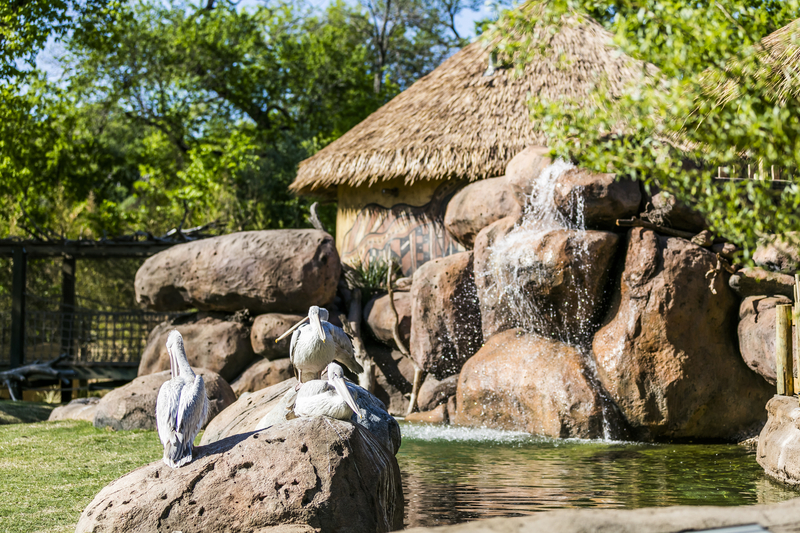 This habitat is surrounded by shaded walkways and an aviary with a variety of bird species for Zoo visitors to discover. A hippo exhibit includes spectacular above-water and underwater viewing. The exhibit also includes an elevated deck for giraffe feeding, restaurants and shaded viewing areas, private event space and much more. Click below to view more pictures of animals and experiences in African Savanna. 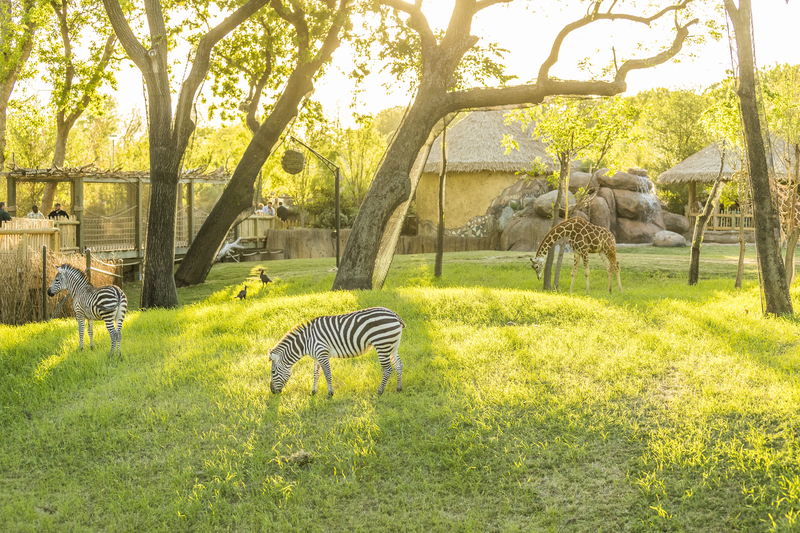 A trip through the African Savanna gives guests multiple panoramic views to watch several species sharing an exhibit. Reticulated giraffes, two African antelope species (lesser kudu and springbok) and a variety of African birds share this open space modeled after the spacious African grasslands. Guests can feed these gentle giants directly from the raised observation deck, making for an unforgettable experience. Varying shades of pink accent the Savanna’s watering holes as flocks of greater and lesser flamingos socialize in the water. An aviary sits amidst the African Savanna flora. Hippos drift, float and swim through a lazy river. 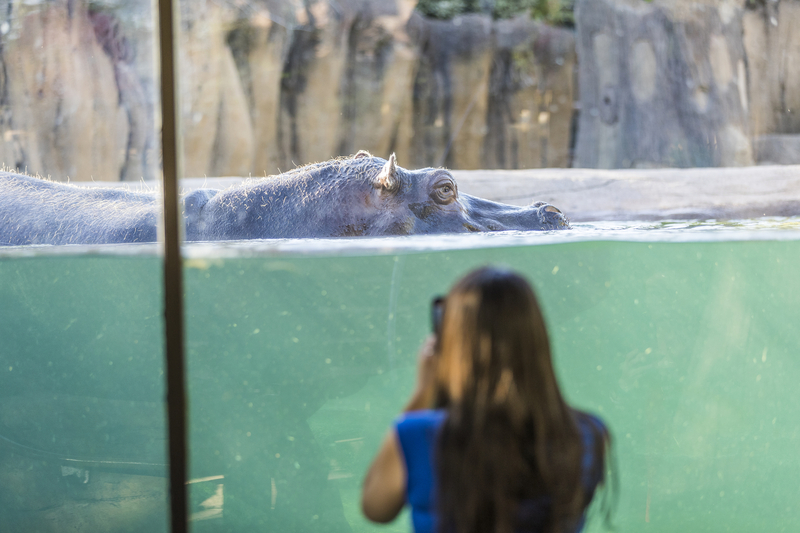 A 70-foot-long underwater viewing area allows for an up-close-and-personal experience with the animals while they are fully submerged, as hippos spend most of their time underwater. 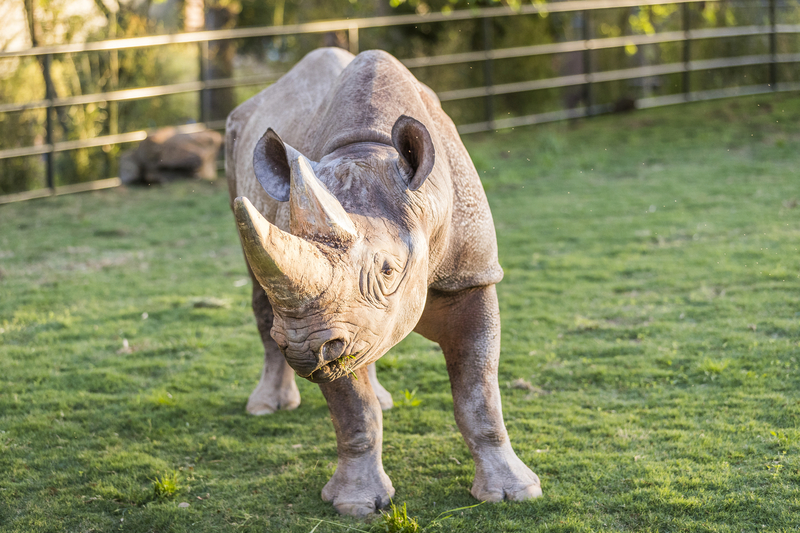 Southern black rhinos roam the perimeters of the savanna. Guests can observe these magnificent animals from multiple viewing areas surrounding the habitats. 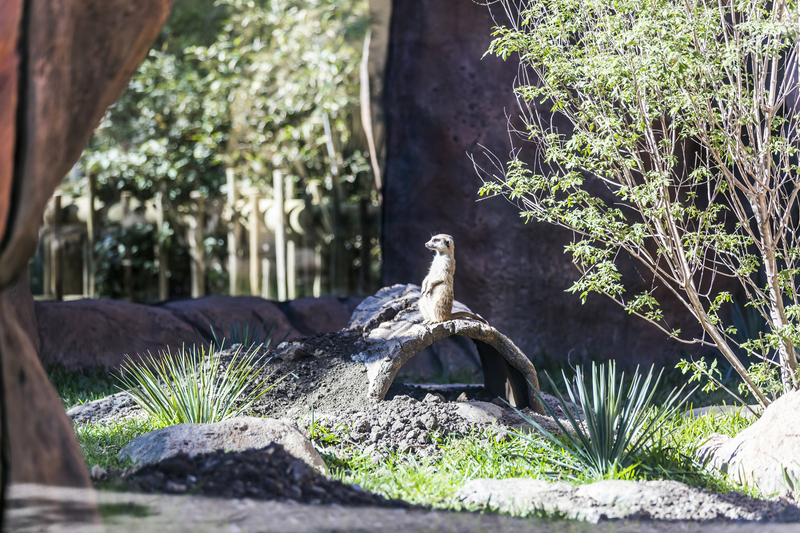 Just across the brush, a mob of meerkats also call the savanna home. 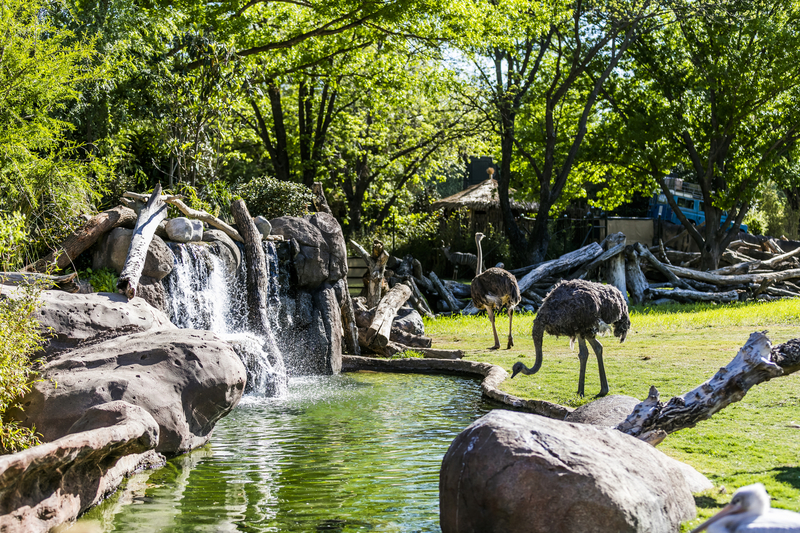 Zoo visitors can enjoy a quick lunch or bite while soaking up the sights and sounds of the African Savanna at one of two African-themed snack stands that border the exhibit. These restaurants are placed around the exhibit and have plenty of shaded seating areas for a snack with a view. Corporate events, group picnics and weddings take on a life of their own. A new, climate-controlled private event space holds more than 1,000 people and overlooks the main exhibit space. Guests can socialize and sip cocktails while taking in panoramic views of the African Savanna. The addition of a watering hole and special lighting allows for unique after-dark viewing of the African Savanna animals. 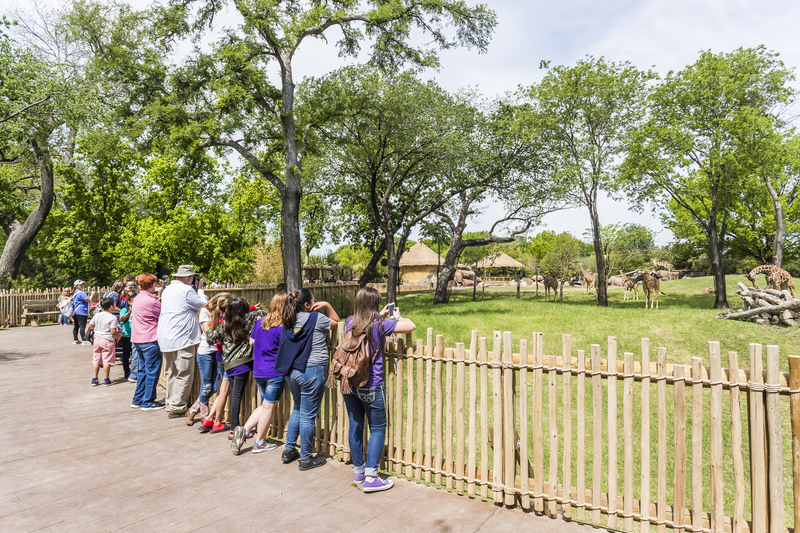 Complete with educational programming and correlating activities such as keeper chats, the African Savanna also shares messages of conservation and environmental stewardship with guests, students and families throughout the Metroplex.